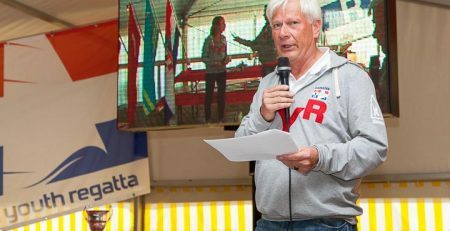 While in the morning and after the races there where only a few knots of wind, soon after the official opening a nice breeze kicked in here at the IJsselmeer at Workum. Even the race officers mentioned on the radio that they where slightly jealous at the young sailors: the best conditions they could wish for! It’s been busy at their Course A. At first it seems like the sailor where actually listen to the request of their race officer the day before: ‘please start good, I don’t like black flags’. But in the end they became more eager so a few of the starts had to be re-started. As speed was king today on the water, the committee is still working on all the results because. So just check the website a little later for the final results. The high performance classes did 4 races back-to-back. Busy mark roundings, colourful downwind runs. 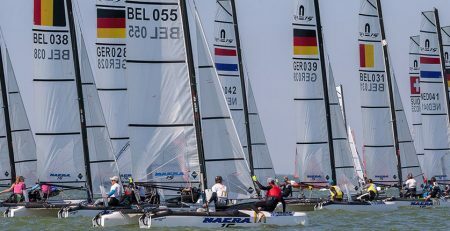 In the Nacra 15 it’s the German Silas Müle and Romy Mackenbrock leading the pack. In the 29er class the Dutch Lars Postma and Pim Schep are in the lead. On the B course it’s amazing to watch our youngest competitors sailing like real pro’s! 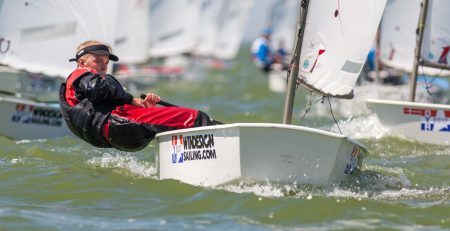 In the Cadet class it’s the team from Belgium of Victor de Ripainsel and Kobe Stroobandt that’s in the lead after three races. 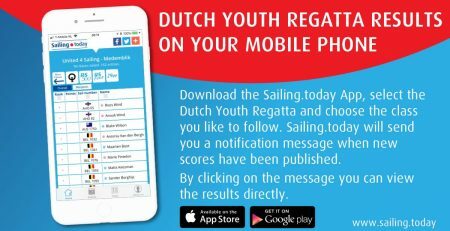 In the all-Dutch class of the RS Feva Gijs Dutilh and his crew Ocker Stoop are leading with only four points on the scoreboard. The youngster fleet, the Optimist Benjamin it’s Violetta Manhes from France who is in control with a big lead on her competition. On course C the battle will be fierce again. The sailors who battled for the top spot on the podium are back here in Workum to defend or of course for revenge! 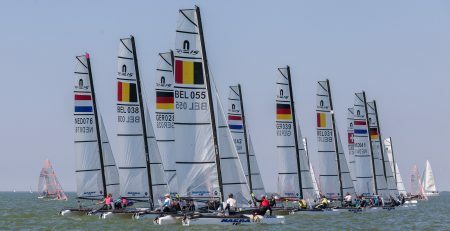 Was it a lot of Dutch in the top last year, in the Laser 4.7 it’s Félix Baudet from Switzerland currently leading by a tiny margin. 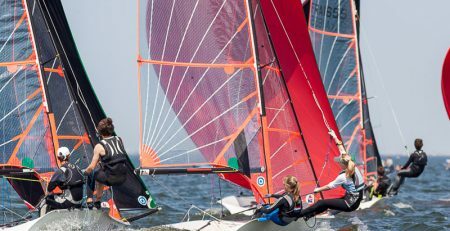 Also at the Laser Radial it’s not a clean sweep yet, although it is the Dutch Olin Houtman who came out on top after today’s races. Follow the event on the live blog during the races and the full results can be found here.